TWO YEARS AFTER MAKING "CITY HEAT," Clint Eastwood told an entire town to cool it. 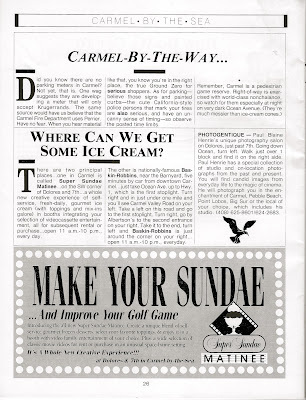 The place was Carmel by the Sea, on the south shore of California's Monterrey Peninsula, a berg famous for its setting, its arts scene and -- for a time -- its prohibition on the sale of ice cream cones on its streets. Eastwood -- an actor, director and Carmel resident -- changed all that in 1986 when he ran for mayor of the tiny coastal municipality and won. Then the man famous for playing Dirty Harry, decided to mess up the town. He'd take out the ice cream ban. To be sure, the reason behind the rule wasn't just some case of absurd nanny-state fastidiousness run amok. According to a contemporaneous Los Angeles Times story, the denial of an ice cream stand permit -- and all of the resultant publicity it occasioned -- was prompted by concerns about water consumption in a time of drought. 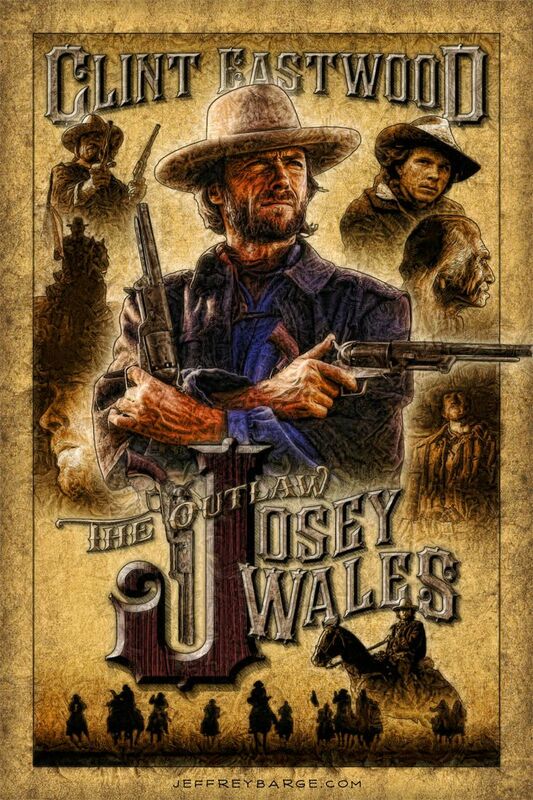 But that wasn't all Eastwood did. Sixteen months into his term, the New York Times reported, the actor-turned-mayor had, "provided more public toilets, built new stairways to the town beach and expedited previously stalled efforts to expand Carmel's library." 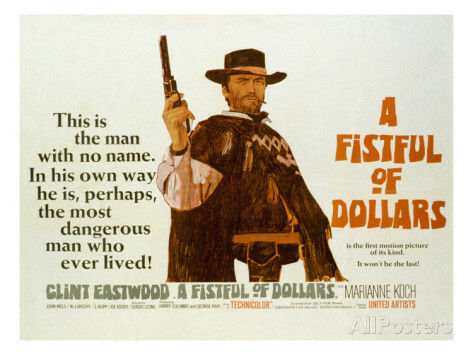 Still, Eastwood served just a single two-year term as mayor of the mile-square city, population 4,000 or so, before returning to the serious work of acting and directing. 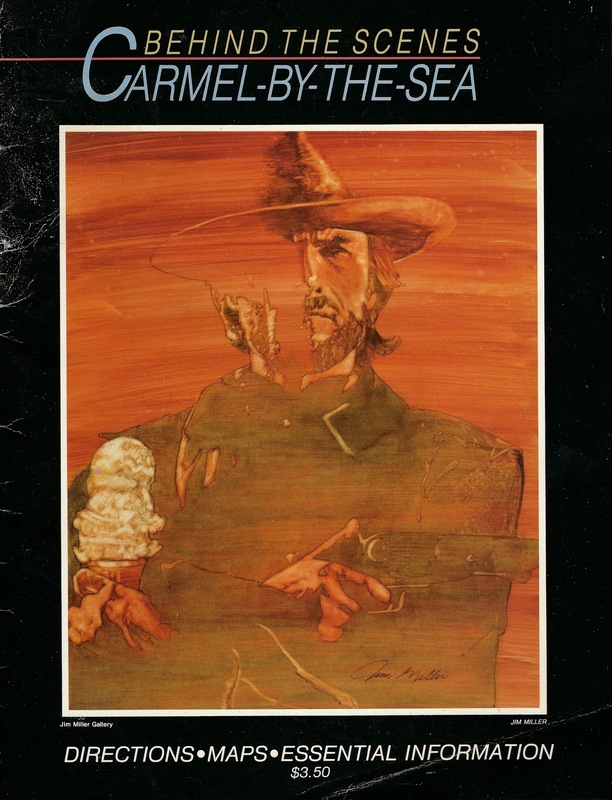 During his tenure though, local artist Jim Miller had made up a commemorative poster, which then became the cover of the Carmel tourist guide. The poster's tagline, not included on the guide's version, promised, "Law, Order and Ice Cream." The image of a bearded, six-gun wielding, western hat-wearing Eastwood, was apparently inspired by promotional art for films like A Fist Full of Dollars, High Plains Drifter, and The Outlaw Josey Wales, but with a twist -- or more appropriately, a triple scoop -- vanilla or perhaps butter pecan ice cream cone in his left hand. Do you feel like sprinkles today, punk? 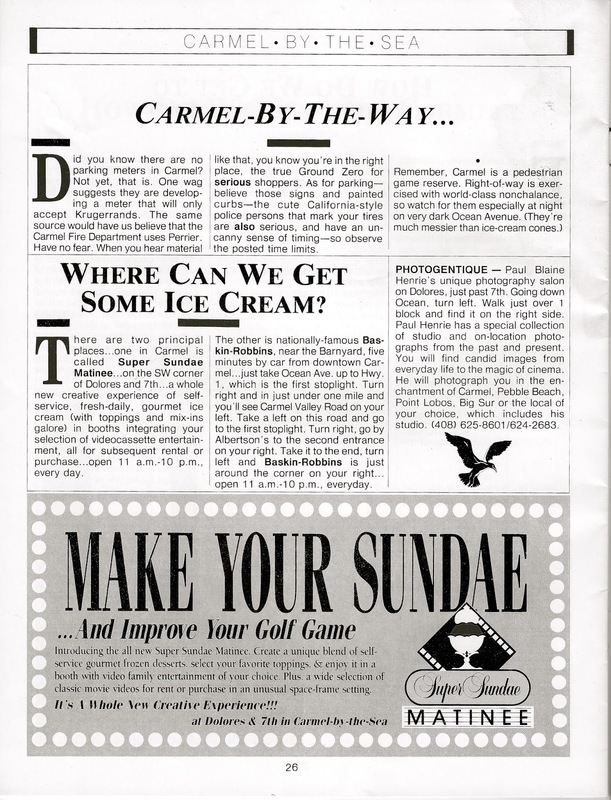 Inside, the publication promising directions, maps and essential information, included not one but two articles on where to find ice cream, together with a conspicuously placed ad to underscore the point. As the man said, "go ahead, make my sundae." In the Summer of 1987, soon after graduating from college, me and my buddy Chris took a baseball tour of California. Mostly baseball at least, and hell of a good time. This is the sixth part of a series inspired by those 16 days on the road.